Anything with the words ‘creamy’, ‘lemon’ or ‘orzo’ in, and I’m sold. So how could a soup with all three of these in, plus CHICKEN, be anything but delicious? And the best thing is, this creamy lemon chicken orzo soup only takes 30 minutes to make! 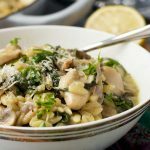 There are so many cool things about this creamy lemon chicken orzo soup, I’m not sure where to begin. 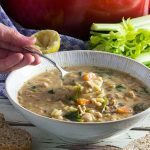 I think what I like most about it is that while it’s a nice chunky soup with plenty of veggie goodness in it (don’t you just hate those soups that you buy from the supermarket that are all watery and have about half a veggie in them? ), it’s also ‘light’ enough to throw in a Tupperware and take to work for lunch. And of course, as I’ve already said (but I’ll say it again just so you get how much I love this soup), it’s got that triple whammy of creamy, lemon and orzo in it to make it extra yummy. You might be wondering why I didn’t use milk to win a few more points in the ‘healthy’ department? Well, to be honest I did consider it, but I was worried about the lemon juice curdling the milk, which doesn’t happen so easily with cream. And the thing is, there is really quite a small amount of cream in it – only a third of a cup in the whole pot, which serves at least 4, if not more. Not that we’re worried about a little cream, of course. 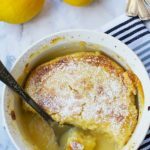 The other little trick I used to make this lovely and lemony (but not overwhelmingly so) was to add just 3 tablespoons of lemon juice, which is equivalent to about the juice of a small lemon. But then I added the zest of the lemon, too. This way there’s no chance of any unpleasant curdling. The orzo, or risoni – which is sort of rice-shaped pasta, in case you were wondering – is the soup version of the icing on the cake. 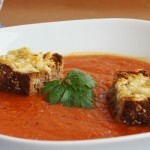 You only need about ¾ of a cup, less if you like, to make a lovely hearty soup. And if you can’t find orzo where you live (it’s fairly tricky to find here in the UK, actually! ), giant or Israeli couscous would work instead. Or any small pasta shape really. If you want to go completely wild, why not sub the orzo for gnocchi, or tortellini? Both of these cook quickly, so you could just add them in at the appropriate moment just before the soup’s finished cooking. Do you cook the orzo before adding it to the soup? Nope. Add it with the stock and let it simmer for 10 minutes as you would regular pasta. Delicious! P.S. 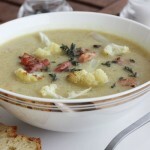 like to use a cast iron Dutch oven pot like this one to cook this soup! This pot is great. Just like a Le Creuset cast iron pot, but not as expensive. You might also enjoy this baked Greek chicken orzo. 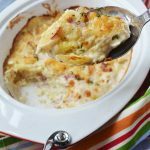 It’s also a perfect quick and easy meal for midweek that the whole family will enjoy! 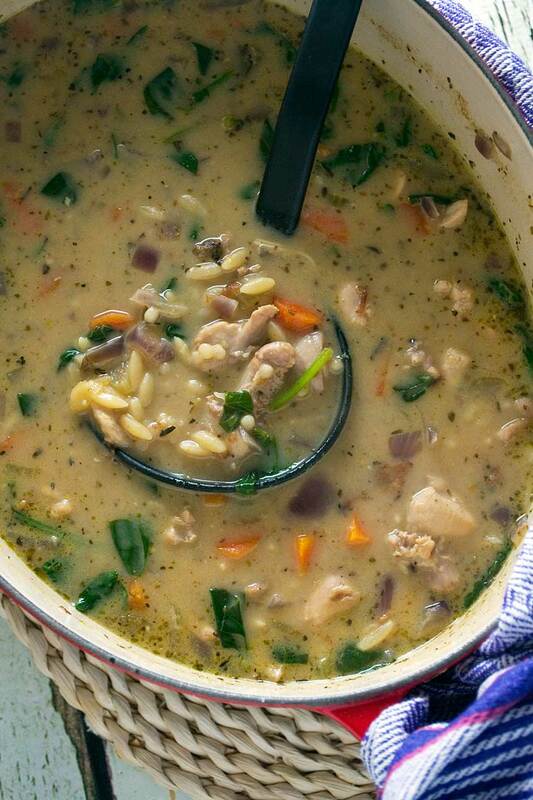 A creamy, lemony, wholesome chicken soup packed with veggies and satisfying orzo or risoni. This creamy lemon chicken orzo soup is delicious, and you can have it on the table in just 30 minutes! 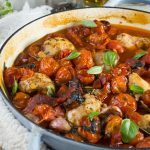 Pan fry the chicken pieces in a large saucepan or heavy-bottomed casserole dish in a large drizzle of oil for a few minutes until all the pieces have turned white. Remove from the pan and set aside. Add a little more oil to the pan and saute the onion, carrots, and celery together for about 10 minutes, stirring often. Add the garlic and herbs to the pan and stir for a few seconds, then add the bay leaves and parmesan rind (if using), stock, and orzo. Add the chicken back into the pot. Bring to a boil, then turn the heat down and simmer for about 10 minutes, until the orzo is cooked. Finally, add the cream, spinach, lemon zest and juice, and salt and pepper to taste. Stir and serve! Orzo pasta is sometimes called risoni. I actually didn’t have quite enough orzo left the last time I made this soup, so I made up the rest with giant couscous. Use any small pasta you like if you can’t find orzo! Gnocchi and tortellini also works well in this soup. Just adjust the cooking time according to the package instructions. 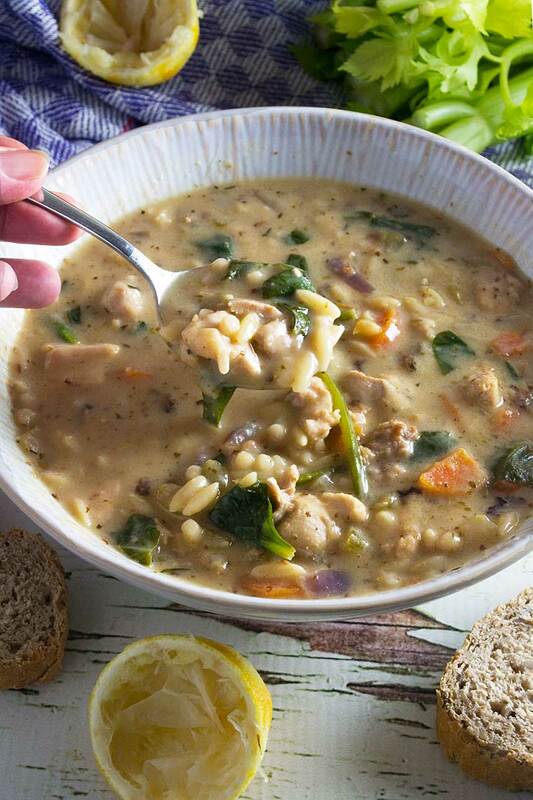 This soup is on the chunky side, but feel free to add a bit more water at the end if you think you’d prefer a thinner soup (obviously this will also make it go a bit further!). Merci, Eva. C’est si simple, mais si delicieuse! Thank you so much, Mira. We’re doing OK, thanks. There are some tough moments in these first few weeks, but we’re so happy to have him with us. I hope you’re well too! 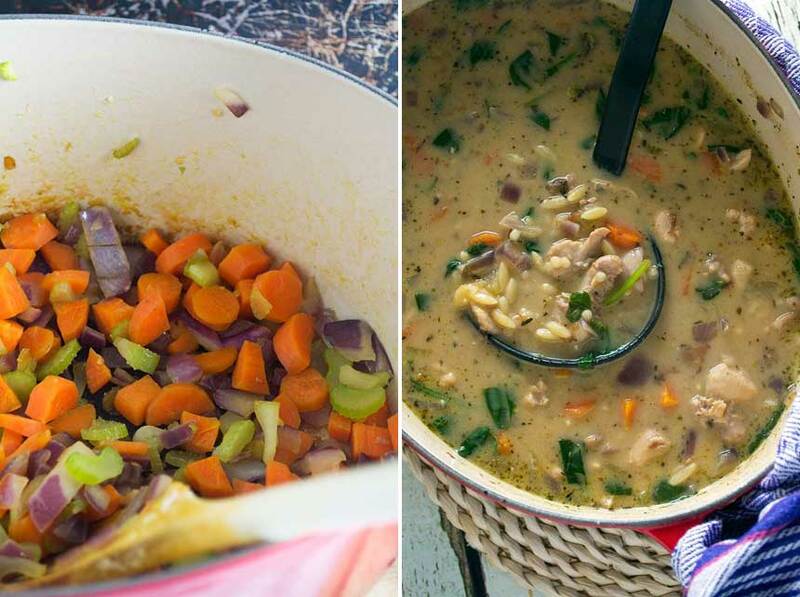 Helen,you are so spot on – there are so many cool things about this soup and I so love how chunky and thick it is! I’m with you! You’ve combined some of my favorite flavors into one gorgeous looking soup. 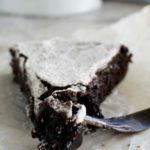 Love that it’s easy enough to make on a weeknight too! I’m a huge fan of lemon in chicken soup, Helen, and orzo is just the best! 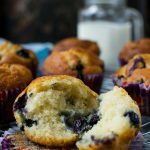 No worries about adding cream, sometimes there’s just no substitute. This soup looks so creamy and delicious, and I love that it’s ready in 30 minutes! Which is so true. I am drawn to everything savour and creamy. Tomato pasta doesn’t make me truely happy, but creamy pasta….now we are talking. Turing it into a soup means better slurpability and the chance to dunk bread in, which is another food love. Seriously I need this in my kitchen! Great minds think alike, Claire!! After reading your brunch pasta post, I should have known this post would be up your street! Hope you try this some day. It’s addictive! Oh my gosh, that looks and sounds absolutely wonderful. 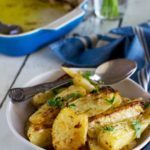 I love lemon in my soup, and I can’t wait to try this! Hi April, thanks for the top rating!